Rejuvenate naturally with cells from your own body! In our practice, we’ll often have some people who come in and want a natural filler with no risk of allergic reaction. 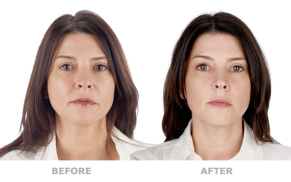 Recently, people have come to us asking for the “vampire facelift” or the “Dracula facelift”, wherein the person’s own blood is used to rejuvenate their appearance in a way similar to that of popular fillers such as Restylane or Perlane. 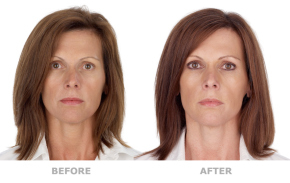 This procedure, however, is not a surgical facelift nor does it create the same effect as a facelift. The procedure only helps restore or enhance areas which require volume. 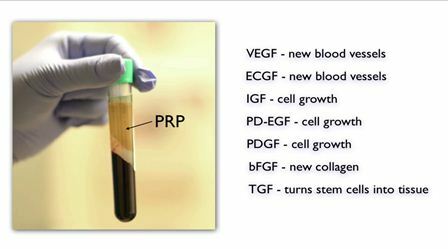 The wound healing and growth factors contained in platelet-rich plasma (PRP). Oculoplastic surgeon Dr. Amiya Prasad has been using platelet-rich plasma to enhance and restore the skin of the face and neck. Platelet-rich plasma (PRP) contains growth factors which stimulate your body to repair and restore tissues using your body’s own natural processes. 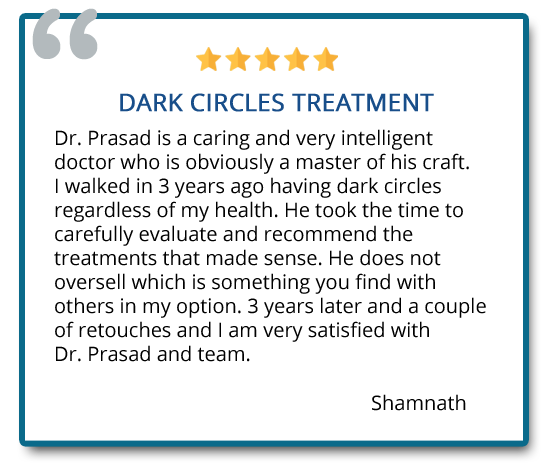 With his technique, Dr. Prasad is able to rejuvenate your skin by isolating elements from your blood, which can then be injected below wrinkles, folds and even acne scars. Platelet-rich plasma (PRP) systems such as Selphyl® technology, produce a platelet-rich fibrin matrix (PRFM) from your own blood. This PRFM contains the growth factors your body uses to initiate and control wound healing. Dr. Prasad uses platelet-rich plasma (PRP) to improve wrinkles, folds and scars (including acne scars) on your face in combination with or without surgery or lasers. In fact Dr. Prasad also uses platelet-rich plasma (PRP) to accelerate recovery from and to enhance the results of rhinoplasty, facelift, fat transfer and facial implant surgery. A small amount of your blood is drawn (like having routine blood tests in your doctor’s office), and Dr. Prasad uses platelet-rich plasma (PRP) with Selphyl® technology (an FDA cleared device to separate the elements of your blood in a specific way) to generate a platelet-rich fibrin matrix (PRFM). This Selphyl® PRFM primarily contains fibrin, a natural blood protein, and platelets, the part of your blood chiefly responsible for stopping bleeding. In addition to this function, platelets also contain growth factors and proteins which signal cells in your body to perform tasks such as producing or reorganizing collagen, developing blood vessels, etc. The platelets in the Selphyl® PRFM, as opposed to other platelet systems, release these growth factors in a concentrated but natural way. It is believed that these growth factors stimulate the cells in the tissue being treated—such as those below wrinkles, folds, laugh lines and acne scars—to rejuvenate the skin over the next few weeks. After determining that platelet-rich plasma (PRP) or Selphyl® platelet-rich fibrin matrix (PRFM) is right for you, a small amount of your blood will be drawn, similar to having basic blood tests at your doctor’s office. This will then be used to prepare the Selphyl® PRFM, which is a process that takes approximately 6 minutes to complete. During that time, the areas of the face to be treated will be cleansed and numbed, with either a topical cream, spray, or a small injection. Once this is done, the platelet-rich plasma (PRP) or Selphyl® PRFM is injected into the skin to be treated. Cool compresses are then applied to these areas. The entire process typically takes no more than 15-20 minutes. Immediately after treatment with platelet-rich plasma (PRP) or Selphyl® platelet-rich fibrin matrix (PRFM), the treated area should look slightly red, though this typically fades in a few hours. There is usually very little bruising, which is generally limited to a few “points” and can easily be covered with make-up. There will be some mild swelling, which, in most patients, fades in a few days. Platelet-rich plasma (PRP) can enhance the quality and thickness of under eyelid skin by increasing collagen and blood supply, which improves darkness from pigmentation and iron deposits. Beyond this, there is usually some “settling” of effect over the first 1-2 weeks, after which the improvements noted are long-lasting. Selphyl® PRFM can provide a natural-looking improvement using your body’s own capacity for repair and regeneration. 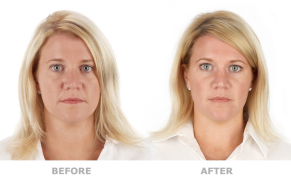 Shown here are before (left) and after (right) views of actual patients. It’s important to remember that every patient responds differently to surgery, and no one can be certain that he or she will get the results shown. However, these photos will illustrate the changes that are possible with these procedures.